It’s RBC’s points program – and not the recently announced $1,000 cash incentive for realtors who refer clients for a mortgage – that one broker has an issue with. The Royal Bank of Canada is now offering real estate agents $1,000 for every five first-time homebuyer referred to an RBC specialist. The program is set to run from May 1 until September 30 and is part of a comprehensive rewards program, which allows real estate agents can also collect points for referrals that can be redeemed for plane tickets, gift cards and merchandise, according to the Globe and Mail. While some brokers view the move as an effective way for the bank to grow its mortgage business, others question the program’s effectiveness. And others question just how many realtors will take advantage of the opportunity. Just because a client signs a disclosure, does not mean the client is aware of the disclosure. It is too easy to hide something like that. It is still a conflict of interest whether you sign a disclosure or not. Signing a disclosure does not legitimize the conflict of interest. You would be naive to think that referral fees or points does not influence some Realtor's on who they referral there clients to. Do mortgage brokers fully disclose to their clients the value of bonuses, trips, points and other incentives that a lender gives to try to get the business? @interestedconsumer is right, we as brokers have as much responsibility to explain points programs, incentive trips to clients as the realtor needs to disclose points programs and referral fees. Now, the idea of paying for referrals is certainly one that I make clear to my clients that we don't and won't do. Let's face it, there's lots of Mortgage Broker's that buy down a rate to "help sell the deal" to a client, isn't this the same thing as paying for a referral? 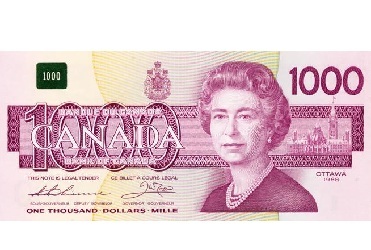 If a realtor get's excited over $1,000, then all you need to do is offer them $1,001. The reality is that good realtors will not be swayed by referral fees like RBC, TD, and National Bank pay them. Just like a good mortgage broker won't be swayed by points or incentive trips.